Ataa Alsalloum is currently a lecturer in architecture and urban heritage at the University of Liverpool. She is also the heritage specialist at the ArCHIAM centre. She has a Ph.D. in cultural heritage studies from the Liverpool School of Architecture. She was a full-time lecturer at Damascus University from 2011 to 2016. Ataa was awarded an honorary research fellow at the University of Liverpool in 2016. Ataa is interested in researching heritage-led sustainable urban regeneration, particularly in the case of post-conflict reconciliation in the Middle East and North Africa (MENA) region. Her research focus also extends to include the heritage/historical context of the UK. Cities such as Old Damascus, Old Aleppo and the world heritage sites of Liverpool, Edinburgh, and Bath have become parts of her case studies’ investigation. She is an affiliated member of the Institute of Historic Building Conservation (IHBC) and a young practitioner member of International Network for Traditional Building Architecture and Urbanism (INTBAU). She is currently serving as a guest editor of the special issue ‘sustainable heritage management’ of the open access journal ‘Sustainability’. 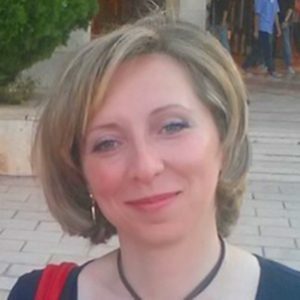 She is also a reviewer of the Journal of Cultural Heritage Management and Sustainable Development, Emerald and a member of the Scientific Committee for the Green Line Institutes, Portugal. Development in World Heritage Sites. Cathedral Communications, the Building Conservation Directory, 2018. (Pp 25-28). Cultural heritage and post-war reconciliation in Syria: Damascus and Aleppo. In Heritage Studies: Critical Approaches and New Directions Conference. British Academy London, 2017. Rebuilding and Reconciliation in Homs. Context No. 150, IHBC, 2017. (Pp. 27-30). The road to recovery: Old Damascus has a long history of rising from the ashes. The Conversation, 16th March 2017. Marion Barter set up an historic buildings advice consultancy in 2017, working mainly in the North. She trained as an archaeologist and worked on the 1980s National Listing Resurvey in Wiltshire. Public sector roles include Conservation Officer at North Yorkshire and Sheffield and Historic Buildings Inspector at Historic England. During 12 years with AHP, she managed the Quaker Meeting Houses Heritage Project, which assessed all meeting houses owned by Quakers in Britain. She specialises in researching historic buildings and places, assessing significance and the scope for change. 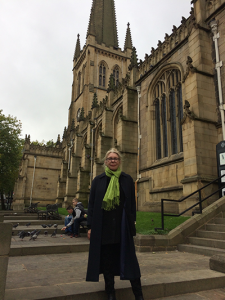 She has assessed Catholic churches, has served on DACs for Sheffield and Manchester Dioceses and on the Fabric Advisory Committee for Carlisle Cathedral. Ingrid Greenhow MSc PhD is a Quaker with a strong interest in the historic environment. Her Masters in historic conservation led to a doctorate comparing approaches to the conservation of ruins in England and Norway. As a translator, she has worked on publications for the Norwegian Directorate of Cultural Heritage, including Conservation of Historic Timber Structures, and Preserving the Stave Churches. She led the Quaker Meeting Houses Heritage Project on behalf of the Religious Society of Friends. Diana Evans has been Head of Places of Worship and Owners Advice since 2008, working on national policy in partnership with colleagues dealing with casework, research and listing. 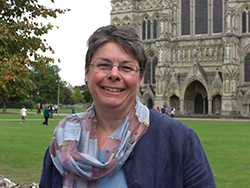 She is also involved in national strategy, covering a wide range of diverse topics including bats in historic buildings, telecommunications in places of worship and the recent Taylor Review of the funding and sustainability of cathedrals and churches. Before joining Historic England she was a Diocesan Advisory Committee Secretary, spending a lot of time helping congregations to adapt their buildings to improve facilities. She joined IHBC in 2004. 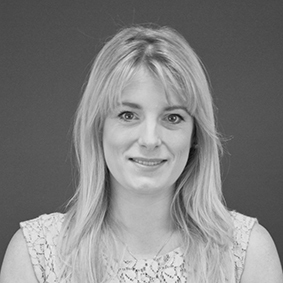 Samantha Gill is an architect within Buttress’s heritage team. She has broad experience working with both secular and non-secular historic buildings, from listed buildings to Scheduled Monuments. She is currently part of the team involved in the restoration of the Grade II listed Church of the Ascension in Salford, which was destroyed by fire in February 2017. Last year, she led the restoration and redevelopment of the Grade II* listed Welsh Baptist Chapel on Upper Brook Street, Manchester into student accommodation. Prior to this, the building had been named as one of the most threatened historic buildings in the country by the Victorian Society and had spent several years on Historic England’s At Risk Register. Clare Hartwell is an architectural historian who has been based in the North West of England for more than thirty years. She studied for her second degree at Manchester University with John Archer and Ron Brunskill and went on to run the northern Office of the Victorian Society and to undertake fieldwork for the Georgian Group. After experience listing buildings in Wales and revising the register of historic gardens and landscapes, she began revising and updating volumes in Nikolaus Pevsner’s Buildings of England series, starting with her Pevsner City Guide to Manchester and continuing with other North-West volumes, some in collaboration with Matthew Hyde. She is now revising the Nottinghamshire volume. Sharman Kadish was educated at University College London and St Antony’s College Oxford and at the Hebrew University of Jerusalem. She has taught at the Universities of London and Manchester and is author of a number of books on Anglo-Jewish history and heritage, including companion architectural guides Jewish Heritage in England and Jewish Heritage in Gibraltar. Her monograph The Synagogues of Britain and Ireland: An Architectural and Social History was short-listed for the American Society of Historians of British Art Prize in 2013. A new edition of her guidebook Jewish Heritage in Britain and Ireland was published in 2015 by Historic England. Having been active in Jewish Built Heritage Conservation for 30 years, she is currently a member of the Northern Buildings Committee of the Victorian Society, a Fellow of the Society of Antiquaries of London as well as a Fellow of the Royal Historical Society. Ian Lucas is an Accredited Conservation Architect working for Byrom Clark Roberts across their 5.no offices. He is head of ‘Heritage Conservation’ within the Company and, during his 20 years with the practice, has developed a specialism for works to Churches and Places of Worship. He is a Full Member of AABC and EASA and also serves as Branch Secretary on the IHBC NW Regional Executive Committee. He serves as Parish Architect to over 40.no Anglican Churches across 5.no Dioceses; as well as helping a number of Methodist and Baptist Congregations deal with their historic and listed buildings. Tino Mager is a Postdoctoral researcher in the Faculty of Architecture and the Built Environment at TU Delft. Tino’s main interests include heritage conservation and cultural heritage theory. In addition, he has published on post-war modernist architecture and its preservation, on Japanese architecture and the transnational education of artists in the 19th century. He completed research stays in Japan and at the University of California, Los Angeles and was a lecturer at the Technical University of Berlin and the ITU Istanbul. Since 2017 he has been a postdoc at the Chair of History of Architecture and Urban Planning at the TU Delft. Mark Pearce is an architect and director at Lloyd Evans Prichard. He is conservation accredited with a broad range of experience include church buildings, museums, libraries, historic houses, historic industrial buildings and structures under the guardianship of English Heritage and Cadw. He has been a member of the Ecclesiastical Architects and Surveyors Association since 2000 and was its President in 2014. He is currently a member of the Diocese of Chester’s Diocesan Advisory Committee, a Cheshire presentative for the Institute of Historic Building Conservation and a Trustee of Manchester Historic Building Trust. He has also had the pleasure of being on the judging panel for the annual awards held by EASA in conjunction with the National Churches Trust.